Sam and Dean Winchester may still be in the middle of their Season 11 battle against the Darkness, but Supernatural is already looking ahead to Season 12. The show earned another season order back when The CW went on a renewal spree, and it looks like an important new female character will be part of the Winchesters’ adventures next year. Elizabeth Blackmore of The Vampire Diaries has been cast to play Lady Toni Bevell, who will debut in Season 11 and return for more in Season 12. Elizabeth Blackmore’s character will have an air of mystery about her when she arrives to meet Sam and Dean, according to E! News. Lady Toni will evidently have a lot in common with the brothers. Perhaps she too has had a co-dependent relationship with a sibling. The casting of Elizabeth Blackmore as Lady Toni Bevell makes sense, all things considered. She’s been a familiar face on The CW since her appearance on Beauty and the Beast in 2012, and she’s had an important role as Valerie Tulle in Season 7 of The Vampire Diaries. She’s also appeared recently on Season 3 of AMC’s Turn. Her major big screen credit is a part on the remake of horror classic Evil Dead. There’s no saying at this point whether her character on Supernatural will be human or angel or demon, but it’s safe to say that she has plenty of experience working on paranormal projects. Blackmore’s character on The Vampire Diaries is still among the living, so she may be busy on more than one CW show in the 2016 – 2017 television season. If she’s a recurring Supernatural character a la Jo or Charlie who shows up to help with Monster of the Week cases, she may even find herself interacting with vampires on two nights of the same week of primetime TV. Hopefully for her sake, however, Lady Toni will have a kinder arc than either Jo or Charlie. Both of those ladies had a lot in common with Sam and Dean as well, and they both died pretty awful deaths. 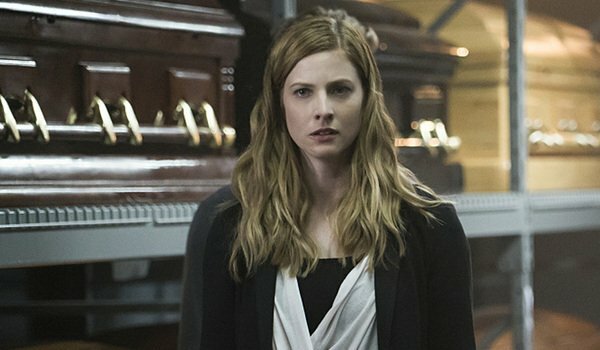 In fact, most of the major female characters of Supernatural seem to come to gruesome ends, and there aren’t nearly as many resurrections for the women as there are for the men. The news that Elizabeth Blackmore will survive at least Season 11 should make it easier to get attached to her character. There’s no saying if she’ll make it to the end of Season 12 without becoming the next Supernatural woman to be killed off to motivate the Winchesters, but there’s definitely reason to be optimistic at this point. Given that Jared Padalecki and Jensen Ackles have been thinking about ways for the series to end, there’s always the chance that Season 12 will be the last. Maybe Elizabeth Blackmore will be the last actress standing by the end. To see what happens to set the stage for Blackmore, tune in to Supernatural on Thursdays at 9 p.m. ET on The CW. Don’t forget to check out the schedule of summer premiere dates to see when your favorite shows will be hitting the airwaves this summer.